Emotional events can evoke some poor policy choices. The heartbreaking images of an orca mother named Tahlequah, clinging to her dead calf are inspiring some dangerous, and frankly, immoral responses. Co-chair of the Governor's orca task force Stephanie Solien told The Seattle Times recently, "I honestly believe that Tahlequah is on a mission." The chair of the Spokane City Council echoed that sentiment on his Facebook page, saying, "This has to be her communicating." A Pierce County Councilman tweeted, "This isn't grieving. It's a protest. Orcas are sick of our nonsense and want action to save our Sound." 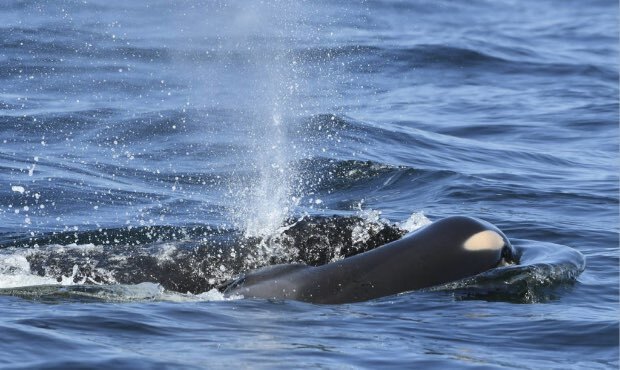 The death of the orca calf should be a call to everyone who cares about Puget Sound and the southern-resident orca to be more serious about the approach we take. The comments of these politicians show the opposite is happening -- they are becoming less rational, more emotional, and less scientific. If these officials and other activists actually believe they can communicate with the orca or that orca can communicate with us, or that the orca understands human politics and policy, then we should resign ourselves to continued failure in efforts to restore salmon in Puget Sound. If, on the other hand, these officials are intentionally making these odd and irrational comments to increase emotion and hysteria in order to affect public policy, these comments are clearly immoral. The goal is to override the science we have on the cause of orca decline in favor of symbolic, costly, and ineffective approaches. Some are hoping this emotion will help destroy the Snake River dams. This approach is most evident by a comment made by an 11-year-old at the Governor's first orca task force meeting in Wenatchee, which received an "ovation" from those in the audience. She said, "I've been to the Snake River dams and personally witnessed these giant megaliths of death. I've seen fish pressed against the ladders, swimming in circles and getting stuck. That's not natural, that's not OK."
By way of contrast, scientists at NOAA Fisheries -- amongst others -- argue destroying the dams is not certain to increase fish populations. They note that it would also take many years for sediments behind the dams to settle, delaying any speculative benefit. For that uncertainty and hope of a long-term benefit, we would pay billions in costs and lost electricity and economic activity. If we want to spend billions on salmon recovery, there are many worthwhile projects in Puget Sound and around the state -- projects with a high likelihood of success. If those looking to tear down the dams have research that is superior to NOAA Fisheries, they should share it. If they have science showing salmon will recover quickly, again contradicting NOAA's science, they should offer it. If, instead, they are appealing to the words of an 11 year-old and communications from an orca, we need to make it clear their proposals are anti-science and will compound the tragedy of the death of the orca calf.